Plus500 is one of the fastest growing CFD (contract for difference) provider services with bases of operations in the UK, Cyprus, Australia and Israel that recently started offering cryptocurrency alongside its other financial services. Founded in 2008, Plus500 is currently listed as a stock exchange, or CFD and forex broker. In short, Plus500 is a CFD brokerage platform that mostly aimed at experienced traders. Plus 500 boasts support for 59 currency pairs, 23 stock index CFDs, 1,800 stock CFDs, 80 ETF CFDs, 17 Commodity CFDs, and 9 cryptocurrencies. 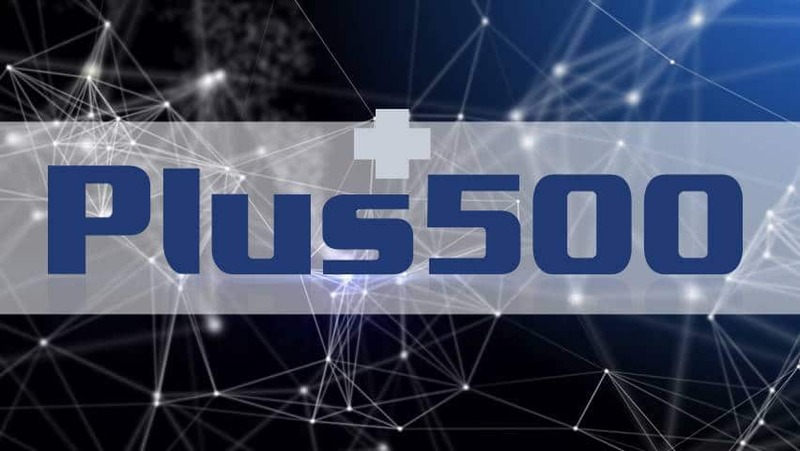 The first thing interested users need to know about Plus500 is that, unlike most CFD providers that charge commissions, the current platform only charges spreads (the difference between the asking price of a financial instrument and the bid price). Other extra costs include a premium charged for positions held open after a certain time, and a $10 fee if the account remains inactive for a prolonged period of time. Even though financial rates are very high, Plus500 has low trading fees and next to average non-trading fees. There is no commission on Plus500 and, as mentioned before, everything is included in the spread. Compared to its most popular competitors, eToro and XTB, Plus500 fees are average. For example, the Apple benchmark fee on Plus500 is $8.9, while on eToro it’s $3,6 and $18,1 XTB. The non-trading fees are also average. Plus500 is available for users all around the globe with the exception of users from countries such as Cuba, Iran, Syria, US, Canada, etc. What’s more, the platform is available in over 30 languages. Plus500 only offers individual accounts, as there are no corporate accounts offered. The minimum deposit is €100 for debit/credit cards and €500 minimum for bank transfers. Trading accounts can be opened within a day. Better yet, accounts can be opened in various base currencies. A very important feature of Plus500 is the fact that it allows its users to practice trading before opening a real account via a demo account. Unfortunately, there are no tutorial videos or other educational content to help beginner users out. Just like most CFD brokers out there, the deposits on Plus500 are free of charge, and there are numerous payment/deposit options available. These include bank transfer, credit/debit card, Skrill, and PayPal. The bank transfer is the slowest of the lot, while electronic wallets and credit/debit cards offer almost instant transfers. Plus500 offers its users five withdrawals per month. Beyond this number, a basic withdrawal costs $10. The withdrawal fee is a lot lower on Plus500 than it is on other competitor websites. The minimum withdrawal is $50 for PayPal and $100 for bank transfer and credit/debit cards. For any withdrawals of lower amounts, a $10 charge will be applied. Unfortunately, the Plus500 platform is not the fastest platform around when it comes to withdrawals. Credit/debit card withdrawals can take as much as three business days. It’s worth noting that users can only withdraw funds from sources that are on their name. Plus500’s trading platform boasts a modern look and can be accessed from a wide array of devices, both desktop (through its web platform) and mobile. The platform’s UI is well-designed and straightforward enough so that even first-time users can find their way. The main drawback is the fact that the platform’s UI cannot be customized. The web platform offers users the same functionalities as the mobile version of the app. The mobile app can be downloaded for iOS, Android, and Windows Phone. One of the highlights of the interface is the search function which allows users to find all products easily. In addition, you can place market orders, limit orders, stop-loss orders, trailing stop, and guaranteed stop-loss. The platform also provides users with the possibility of receiving instant notifications either through email, SMS, or a smart push notifications system. The platform allows anyone to set alarms for when a certain price reaches a certain level or changes for a certain percent. In addition to all that’s been said, Plus500 also provides a set of basic research tools. It has good charting features, as well as an economic calendar, but it lacks in the recommendations and news departments. Plus500 has one of the best customer support departments of any CFD broker service. It provides its users with the possibility of either sending an e-mail to tech support or to contact them directly by live chat, both of which are available 24/7. Security is another aspect that recommends Plus500 as being one of the top CFD brokers. It’s also worth noting that Plus500 is licensed and fully regulated in all countries. For example, it licensed by ASIC in Australia (AFSL #417727). The UK branch, the Plus500UK Ltd, is regulated by the FCA, the official regulator in UK. The platform also has two-factor authentication. 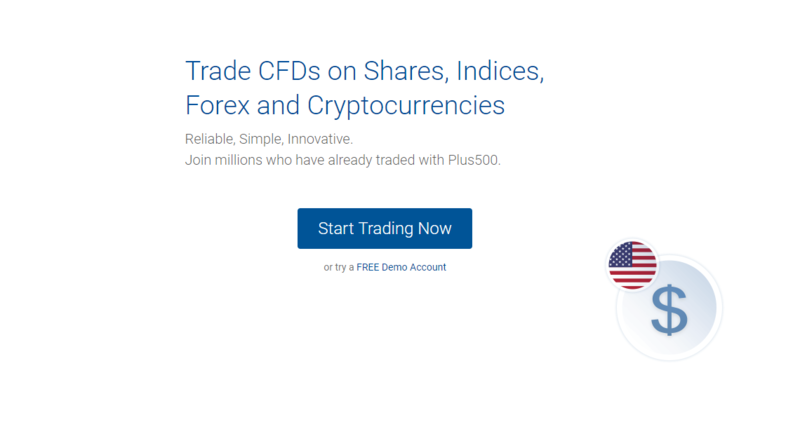 Plus500 has a plethora of useful trading tools, and it’s one of the few services that offer users commission-free trading and the ability to trade CFDs for major cryptocurrencies. The platform is easy to use, and its mobile apps are very stylish. However, Plus500 has various disadvantages as well. For starters, it has a rather limited crypto portfolio. Also, the service has pretty high financing rates, and it lacks advanced research data (very important for seasoned traders). Last but not least, the fact that accounts are subjected to an inactivity fee is also a big drawback.